Women’s Frontside skis are customarily softer flexing than unisex models in order to make lighter people better able to bend them. As a rule, these skis are predisposed to shorter turns and prioritize control over blasting down the fall line. In Realskiers.com’s jargon, most women’s Frontside skis are Finesse models, meaning they don’t require either high speed or a high edge angle to respond as opposed to Power skis that favor both. 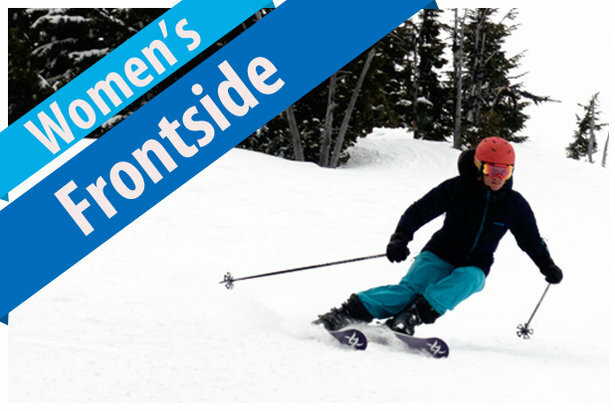 The Frontside of the mountain is where all skiers develop their skills; reflecting this reality, the women’s Frontside field of skis runs the ability gamut from never ever to supremely skilled at skiing. Women who prefer manicured slopes will feel better snow/edge connection and subsequent control on a Frontside model. The elevation of the integrated binding interface also amplifies edging power, a benefit of particular value to lighter skiers. The same lousy test conditions that limited the scope of our inquiry in other women’s genres also crimped our style in the Frontside field. Two potential Power winners, the Atomic Cloud 9 and Nordica Astral 84, slipped through our net, as did the Finesse-flavored Head Super Joy and new Dynastar Legend W 84. Women with a well-polished skillset who like to light it up on groomers should either investigate the small crop of women’s Technical models or jump the gender divide in the Frontside category. The men’s Frontside field, unlike the women’s, is overstocked with Power options that might better serve the athletic woman. The Women’s Frontside ski reviews are provided by our equipment experts at Realskiers.com, powered by Masterfit. Several top Frontside skis are returning stars plus some new models & a couple brilliant upgrades. 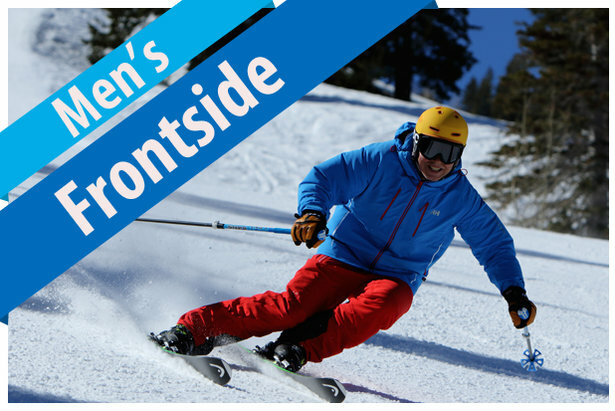 Find men's 17/18 Frontside skis here.